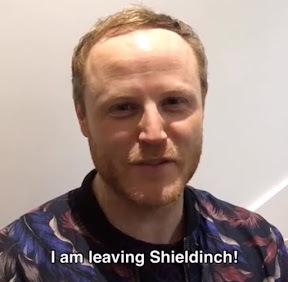 RIVER City actor Gary Lamont has announced he's leaving the series - and claims he wanted to go out on a high..
Producers claim the door will be left open but in an emotional announcement online Gary who plays much loved hairdresser Robbie Fraser said: "I am leaving Shieldinch. It's been hush hush and a secret. The first series I was booked for was eight weeks and I've managed to wring eight years out of them so I don't think I'm doing too badly. It's a good thing. It's a positive thing." Admitting it made him a bit teary eyed he added: "It's weird getting upset about it because I've never actually said it. I think I'm just pretending that it's not happening. It's been marvellous and the best job I could ever wish to have. I always wanted to go when I was at the top and I feels as if I'm at the top. I couldn't ask for anything more. I'd rather go while it's good." Gary who performed his own show at the Edinburgh festival recently appeared on 69 Shades of Gay at Oran Mor and has some more live theatre dates in the works. "Gary brings magic to every scene which has made him an audience favourite for the last eight years. We are so sorry to lose Gary but know that we have kept him to ourselves for long enough and now he needs to go and do other things. Robbie has been at the heart of River City with gripping storylines including soap’s first ever domestic abuse storyline between a gay couple. We’re planning to make the most of Gary while we have him and will put Robbie through the wringer one last time with a fittingly dramatic and heroic finale. Everyone at River City will miss Gary for who he is behind the scenes as well as the wonderful things he has done on screen. We wish him all the success in the world, but if Robbie ever wants to come back, the door is open."